SSC Biology Notes 2nd Chapter Cell and Tissue of Organism. SSC suggestion and question was published by the Board of Intermediate and Secondary Education, Dhaka. The Board of Intermediate and Secondary Education, Dhaka is an autonomous organization, responsible for the holding of two public examinations (SSC & SSC) and recognition of the newly created non-Govt. the educational institution, as well as of the supervision, control and the evolution of these institutions. Biology is a natural science concerned with the study of life and living organisms, including their structure, function, growth, evolution, distribution, and taxonomy. Modern biology is a vast and eclectic field, composed of many branches and subdisciplines. However, despite the broad scope of biology, there are certain general and unifying concepts within it which govern all study and research, consolidating it into the single, coherent field. Subdisciplines of biology are defined by the scale at which organisms are studied, the kinds of organisms studied, and the methods used to study them: biochemistry examines the rudimentary chemistry of life; molecular biology studies the complex interactions among biological molecules; botany studies the biology of plants; cellular biology examines the basic building block of all life, the cell; physiology examines the physical and chemical functions of tissues, organs, and organ systems of an organism; evolutionary biology examines the processes that produced the diversity of life; and ecology examines how organisms interact with their environment. teachingbd24.com is such a website where you will get all kinds of necessary information regarding educational notes, suggestions and question patterns of schools, colleges, and madrasas. Particularly, you will get here special notes of physics that will be immensely useful to both students and teachers. The builder of the website is Mr. Md. 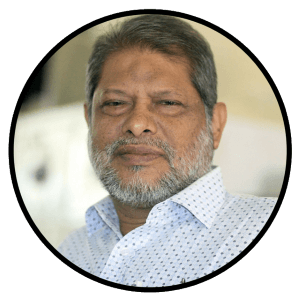 Shah Jamal who has been serving for 33 years as an Assistant Professor of Physics at BAF Shaheen College Dhaka. He expects that this website will meet up all the needs of Bengali version learners /students. He has requested concerned students and teachers to spread this website home and abroad.